Half American, half English Emily fell instantly in love with riding after a trip to England saw her sit on a pony for the first time. She now trains with Olympic Gold Medallist Ben Maher (GBR) and has represented America in the U25 Nations Cup. Emily now competes for Great Britain. 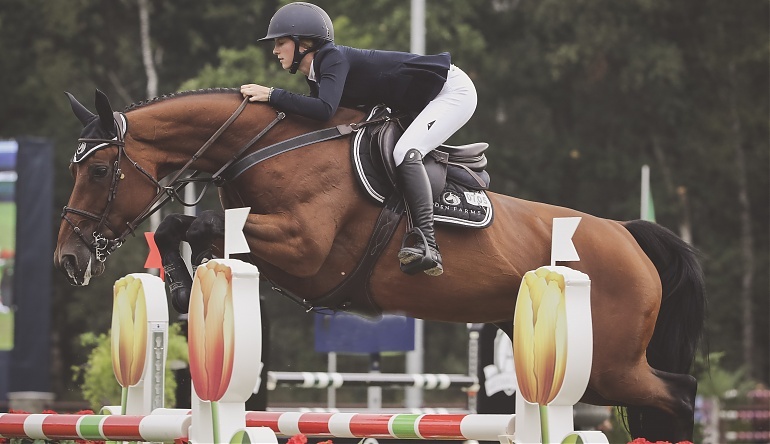 Her current aim is for the 2020 Olympics, and she the moment she knew she wanted to compete in showjumping was at the GCT Grand Prix of Chantilly. 2015 saw her win numerous CSI2* classes on the GCT series.